Irrigating your yard can really be wasteful and expensive; clean water is a precious commodity, and not just in desert communities. Rainwater catchment is a good idea: whether you install an underground cistern, plastic storage tanks that bolt to the house or a simple rainbarrel, the idea is to make the most of the water that falls on your roof before it leaves your yard. To make the most of the water you pay for, there are also greywater systems that recycle the water from your shower and dishes to water your landscape. The best irrigation is no irrigation: planting hardy, native grass and plants in the right place, and mulching the soil around them, saves lots of water and fuss. 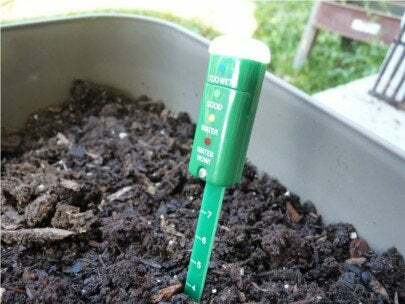 If you must irrigate, install a system with soil moisture sensors to make sure you only water when the soil is dry. Use deep drip tree watering stakes and grow your veggies in raised beds with drip irrigation to keep moisture where it’s needed.